1: Calling the bloody U.S. coup that overthrew the democratically elected President of Ukraine in February 2014 instead a ‘democratic revolution’ against him, which established ‘democracy in Ukraine,’ instead of established a dictatorship and a civil war there. Assange even bragged to Schmidt and Cohen (who was very close to Cohen’s other boss Hillary Clinton) “Something I am certain about is that we changed the outcome of the Kenyan election in 2007.” Assange, at that time, seems to have had no idea at all, that he was actually telling this to coup-plotters, instead of to democracy-champions. The Carnegie Endowment for International Peace, and other sales-promotion operations for Lockheed Martin etc., blame the increased misery in Ukraine after the coup, on Ukrainians, such as: “Under attack from within and without, Ukraine cannot build a democratic future without Western support [from Western taxpayers, to fund those weapons-sales]. Both financial and security assistance are critical to the [new fascist Ukrainian] state’s survival. Yet there is one caveat: Ukraine’s friends should recall their experiences providing aid to other post-communist countries, and enforce strict conditionality, especially regarding control over powerful elites [such as those who actually worked with Obama’s coup], to ensure that their support achieves its desired aims. Constructing a new democracy in Ukraine will take extraordinary care and vigilance.” In other words: ‘we’ tried our best; ’they’ failed. ‘We’ didn’t impose this bloody outcome on them; ‘they’ — America’s victims — did it to themselves. 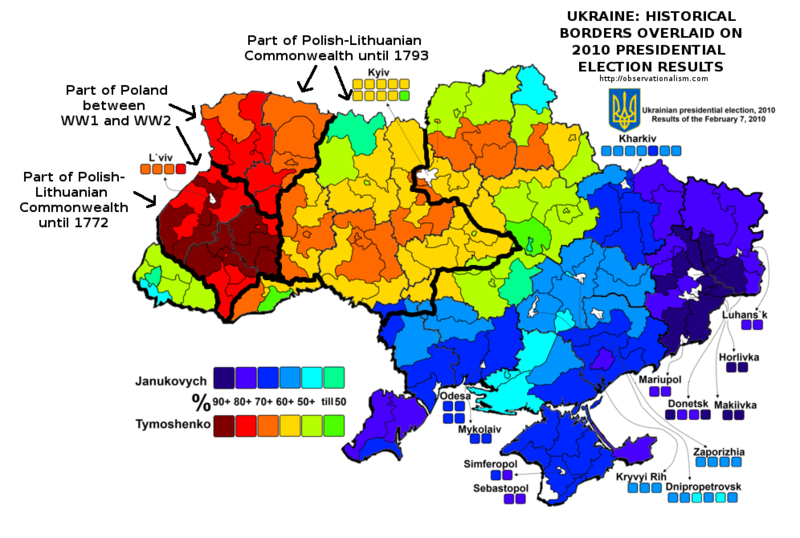 This coup and its aftermath (ethnic cleansing to get rid of the people in the area of Ukraine that had voted 90% for the man Obama overthrew) were the most-censored news story of 2014, and the U.S. ‘news’ media still don’t report any of it, because for them to report it truthfully would be for them to acknowledge what they’d been covering-up and lying about ever since the February 2014 coup — and they never report about their own cover-up operations. On 20 February 2014, at the very height of the bloody U.S. coup that ended democracy in Ukraine, the Obama Administration’s rabidly Russia-hating nazi-inspired thugs beat and brutally killed many Crimeans who were escaping from Kiev after having been peacefully demonstrating there against the U.S.-nazi overthrow-Yanukovych operation. This “Korsun massacre” is ignored in the ‘news’ accounts in America, but it played a key role in terrifying the Crimean population against the coup-installed regime and in motivating them to seek the protection of Russia by voting, on 16 March 2014, for Crimea to rejoin Russia.